What are the reductive strategies, as Bicknell terms them, that are used to explain strong emotional responses to music? Why does Bicknell find these explanations inadequate? What did Descartes mean when he said that music stimulates our “animal spirits”? What is the role of cognition in musical experience? What does it mean to “hear backwards”? 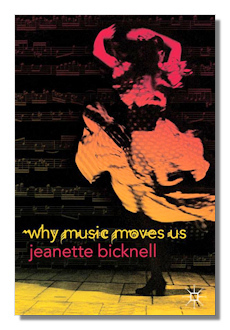 Why, according to Bicknell, is it significant that music is fundamentally a social experience? Do you agree that there is no “private” musical experience? Why or why not? What are the implications of Bicknell’s claim that “systems of musical meaning are conventional” (90)? How does Bicknell defend her characterization of music as social from the objection that music is an escape from the social? How does music contribute to social bonding? What are the effects of music on the brain and why does Bicknell find these effects significant? Can encounters with music be intimate? How our relationships with music similar to friendships with people? How does music facilitate intimacy with ourselves?